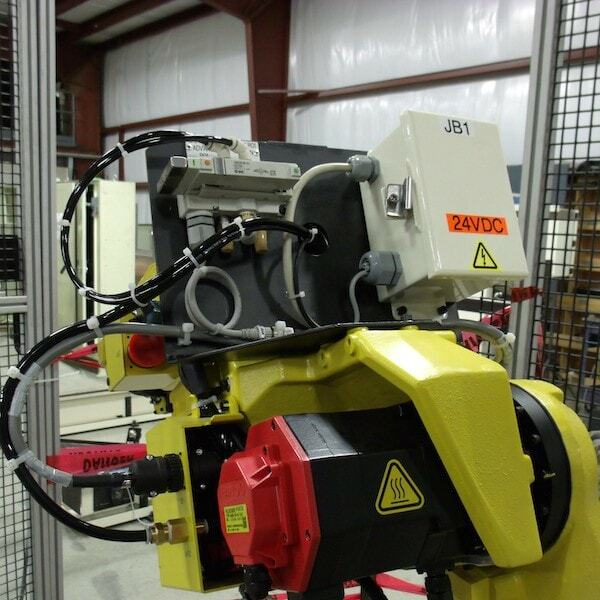 Robot Integration | Action Equipment Solutions, Inc.
Action Equipment Solutions, Inc. (AES) can provide the entire robot cell from the robot to the fencing / guarding to the conveyor and or autoguided vehicle interface that meets your needs. We fully understand and can implement the required safety elements for your project. AES can bring your current applications up to the necessary category for the that particular application. AES can design the entire cell or we can just do the PLC integration. AES can be contracted to just teach the robot as well. 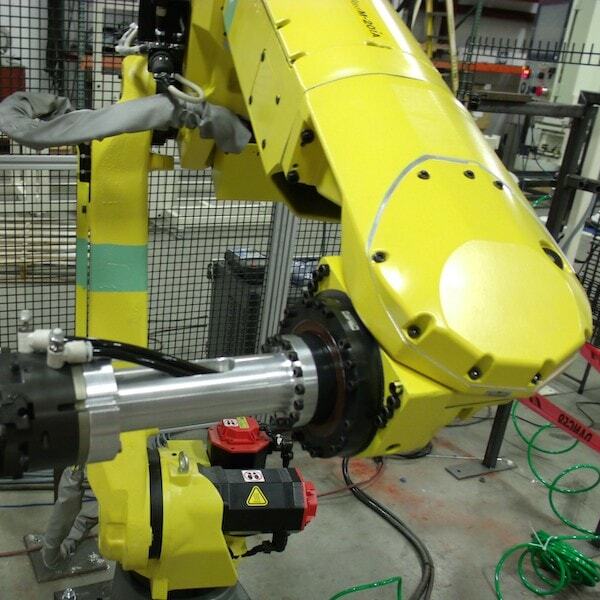 AES personnel have expertise in the following robot manufacturers: ABB, Nachi, Kawasaki, Motoman, Adept, Fanuc, Mitsubishi, etc.